My heart is a kaleidoscope, and when we kiss it makes my world unravel . . . Last summer, Gottie's life fell apart. Her beloved grandfather Grey died and Jason, the boy to whom she lost her heart wouldn't even hold her hand at the funeral. This summer, still reeling from twin heartbreaks, Gottie is lost and alone and burying herself in equations. Until, after five years absence, Thomas comes home: former boy next door. Former best friend. Former everything. And as life turns upside down again she starts to experience strange blips in time - back to last summer, back to what she should have seen then . . . During one long, hazy summer, Gottie navigates grief, world-stopping kisses and rips in the space-time continuum, as she tries to reconcile her first heartbreak with her last. 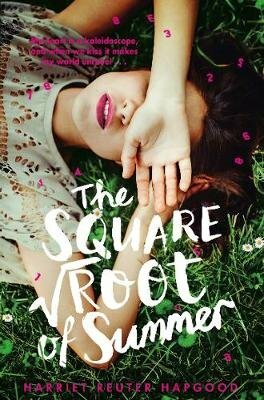 The Square Root of Summer is an astounding and moving debut from Harriet Reuter Hapgood.